Today I wanted to do a music themed post. I saw this on Lucy's from Forever Septembers blog and she was inspired by Emma, who also did this on her blog. I love tag posts where you get a little more insight into your favourite bloggers and so I thought I'd share with you some of my music favourites too (dad, this one's for you - I know you'll love this post). The first album I remember having was STEPS spectacular which featured the songs such as Tragedy and Deeper Shade of Blue. Yes I was that young 90's kid, obsessed with the likes of steps and s club 7. When I was younger I used to have one of those portable CD players and used to play the CD over and over again. The album that I would always go back to listen to time and time again is Beyonce album I am Sasha Fierce. It just never gets old and has a mixture of slow ballads and upbeat feel good songs! There are many songs I love to listen to that make me happy but my favourite probably has to be Outkast Hey Ya or The Killers Mr Brightside. They're such good songs and the type that I'd love to listen to if I'm having a chilled day to myself or an evening in with a glass of wine. They both amazing party songs too. I do love Mr Brightside by the Killers as a favourite to dance to but I would say the one that really gets me off my seat is Whitney Houston I Wanna Dance with Somebody. SUCH A GOOD TUNE!! (Moll, Jordan, Demi you gals know what I'm saying about a good old Whitney song!) It is such a good one to get the party started. I think my first ever gig was Steps in Manchester. I used to love them and I remember going with my twin sister, my mum and dad. Such a good memory!! I absolutely love the lyrics to This Woman's Work by Maxwell. Such an incredible powerful song and probably one of my all time favourites. A little morbid but I would love this to be played at my funeral. So beautiful. Oh gosh, there are definitely a few firm favourites that remind me of my childhood; The Spice Girls - Wannabe, Stacey's Mom by Fountains of Wayne, Liberty X - Just a Little and Girls Aloud - Sound of the Underground. MAJOR THROWBACKS RIGHT THERE. I am SO bad at karaoke and would hate that situation so much unless I was absolutely trollied and couldn't remember it at the time!! If I had to choose a song for a solo performance it would be Mariah Carey Through the Rain and for a group number, definitely either a Spice Girls song or Wonderwall by Oasis so everyone could join in! When I think of home, I think of this one memory I have with my dad sat in the car on the driveway of our house where we put a CD on by U2 and One came on which they sung with Mary J and we turned up the music so loudly. For some reason that song now reminds me of home and it's a memory I will never forget. Ooo this is hard but I think it would be Coldplay Sky full of Stars because it's such a feel good song and I could listen to it over and over again. In fact any of Coldplay's music. I've seen Coldplay live a few times and they're just incredible. 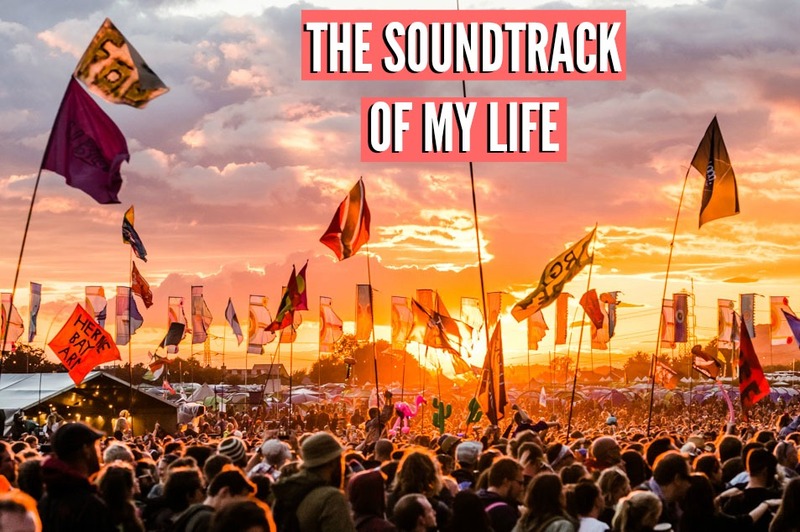 There you have it, a little insight into the soundtracks of my life. What are yours? ah i read forever september's post and loved it! i now have sound of the underground full volume on spotify so thanks for that! happy sunday ha! Such a good tune, major throw back. Please tell me you did a dance routine to it too! !